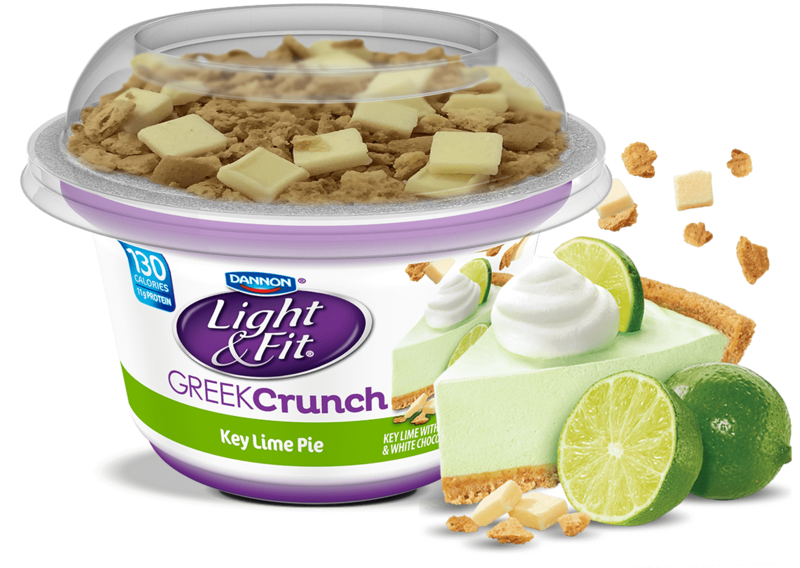 You love our incredible Key Lime Greek nonfat yogurt. And everybody likes silky smooth white chocolate. You think a delicious graham cracker crunch would be good with that? Yeah, so did we. Go ahead and treat yourself. 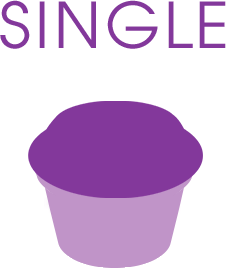 Nonfat Yogurt: Cultured Pasteurized Grade A Nonfat Milk, Water, Crystalline Fructose, Modified Food Starch, Lime Juice, Natural And Artificial Flavors, Pectin, Sucralose, Beta Carotene (For Color), Potassium Sorbate (To Preserve Freshness), Malic Acid, Calcium Citrate, Acesulfame Potassium, Sodium Citrate, Blue #1. Toppings: Graham Cracker (Unenriched Wheat Flour, Sugar, Liquid Polydextrose (Polydextrose, Water), Canola Oil, Water, Wheat Bran And Wheat Germ Derived From White Wheat, Honey, Natural Flavor, Salt, Baking Soda, Soy Lecithin. ), White Chocolate (Sugar, Cocoa Butter, Whole Milk Powder, Soy Lecithin, Natural Vanilla Extract). Contains Milk, Wheat & Soy. May Contain Traces Of Peanuts, Tree Nuts Or Eggs.